Although most of the Fairmount Water Works was restored more than a decade ago, one spot has remained closed to the public: the long-shuttered Kelly Natatorium. The three-lane swimming pool was built in 1961 with funding from Philadelphia’s illustrious Kelly family–patriarch John B. was a three-time Olympic gold medalist in rowing, and daughter Grace became Princess of Monaco. Prior to that the building housed an aquarium, which opened 1911 after pollution forced the City to stop using the Water Works in 1909. 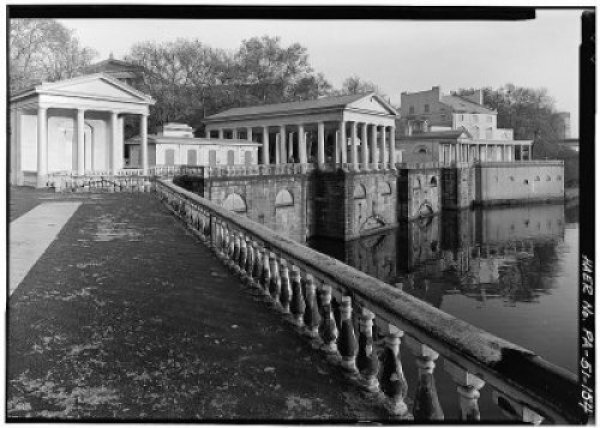 The City closed the pool in 1972 after it was flooded by Hurricane Agnes. It has not been used since, but we hope to open the space as part of Hidden City’s 2013 Festival.